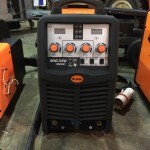 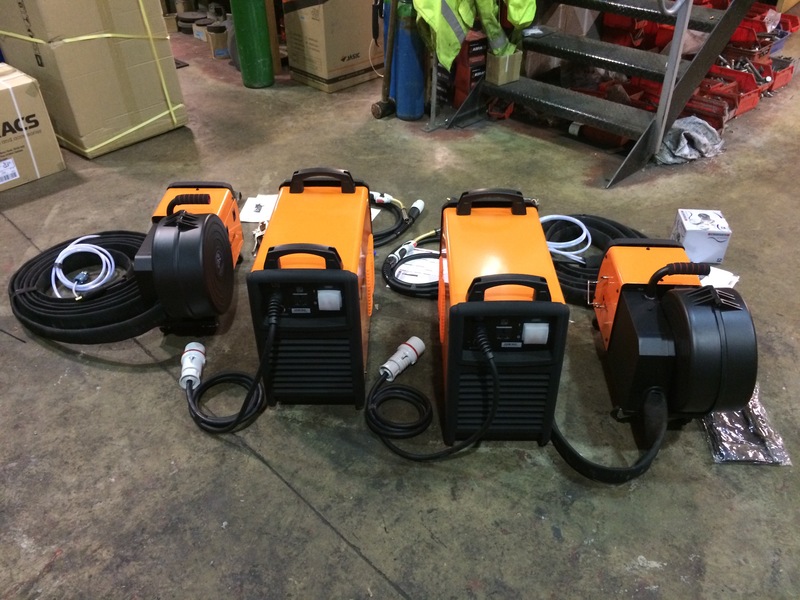 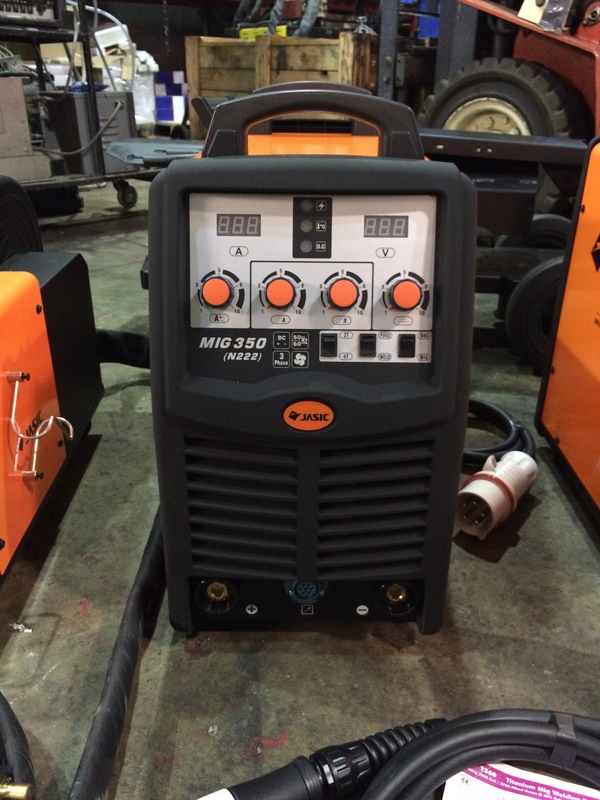 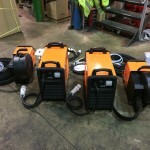 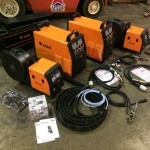 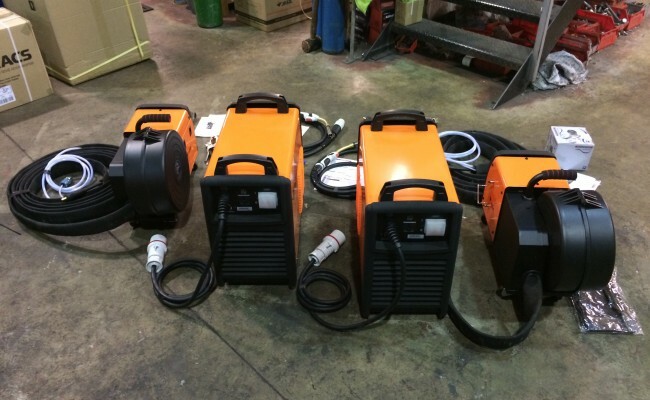 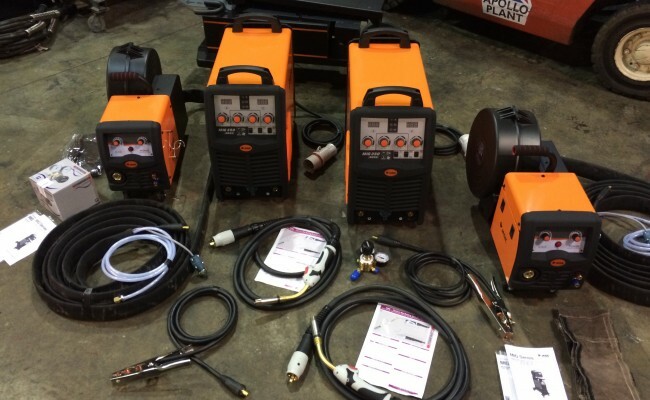 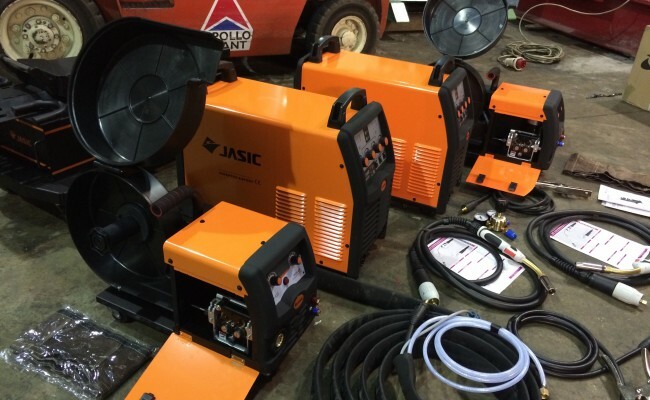 We've recently added numerous Jasic 350 welder inverters to our hire fleet and for sale stock, which have been very popular with our customers being multi process CC/CV machines, meaning they MMA stick weld and MIG/MAG weld. 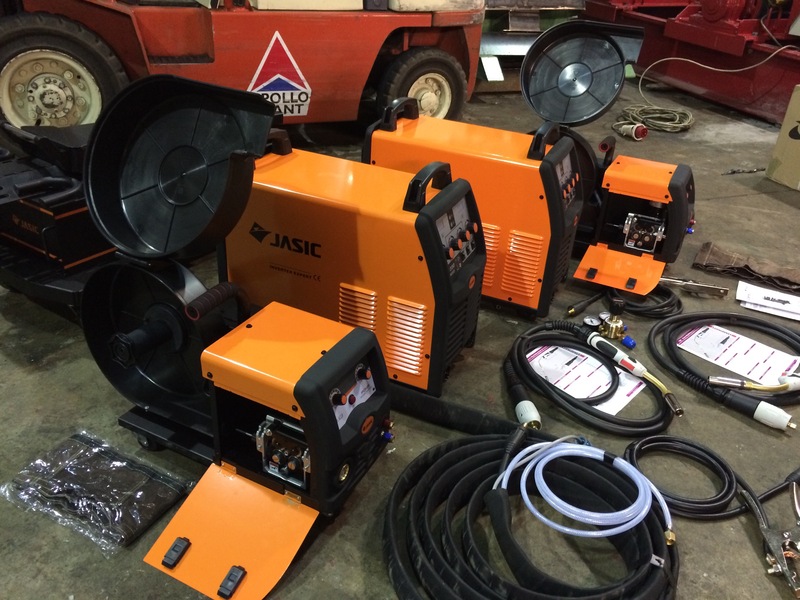 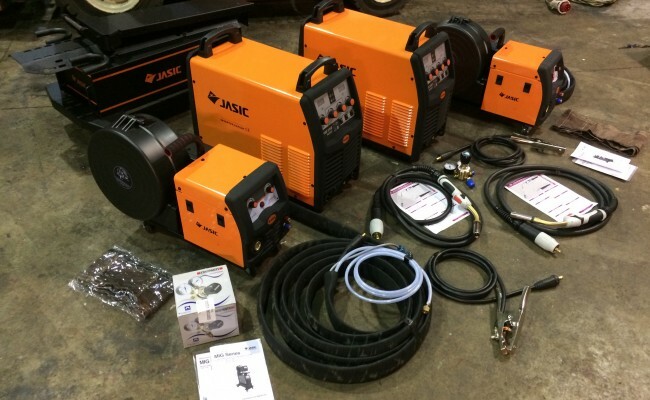 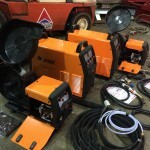 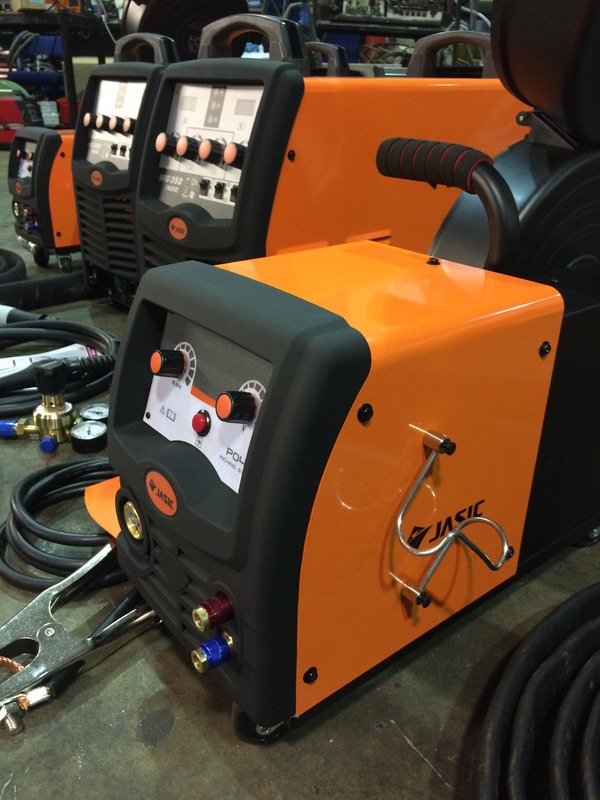 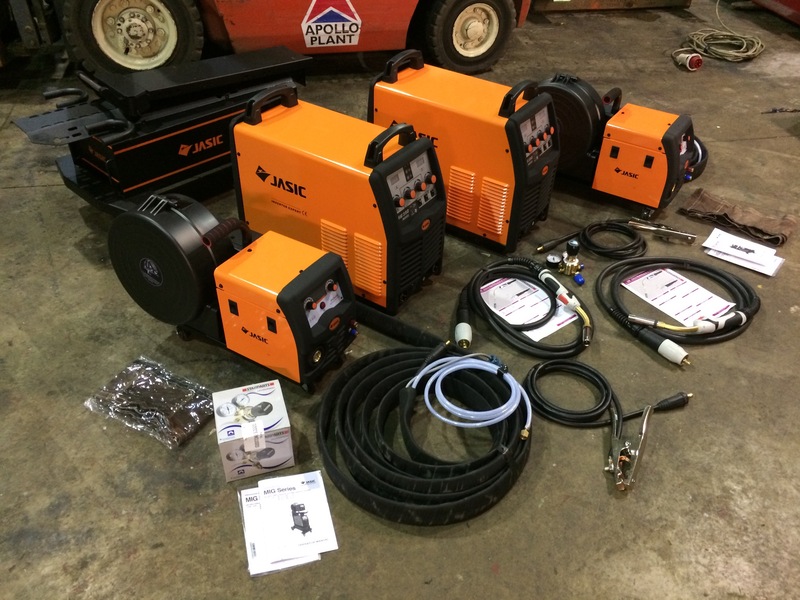 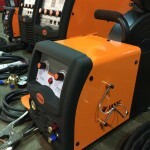 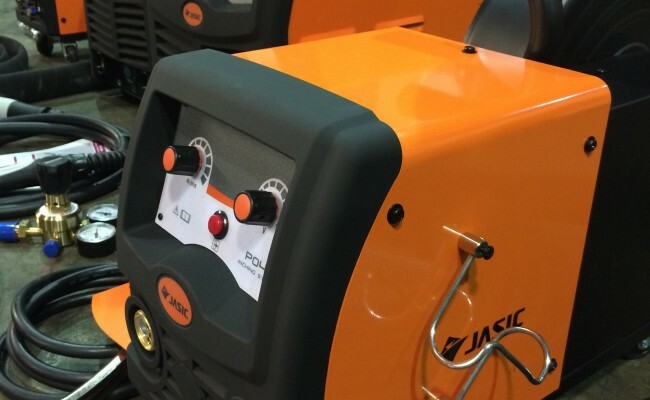 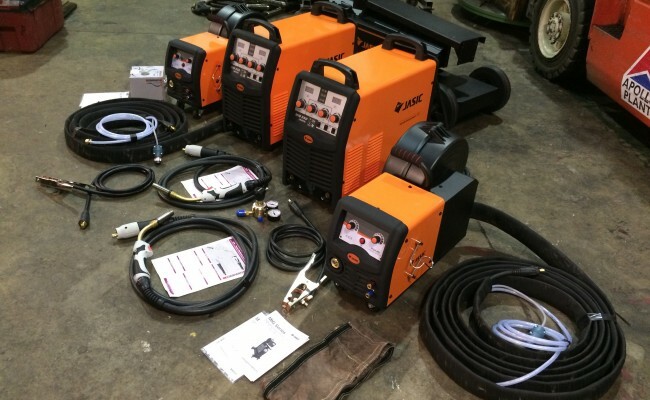 After becoming a Jasic agent we have sold large quantities of the entire Jasic welder inverter range and have found a big selling point is the incredible 5 years warranty Jasic provide, which is more than any other welding machine manufacturer. 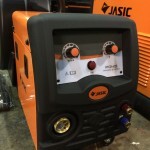 Their service centre in the UK is also top notch and we have a great relationship with them, which for is important when selling the Jasic brand. 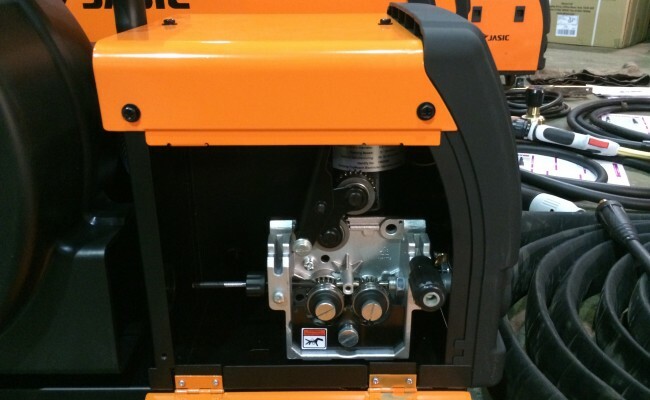 The wire feeders are x4 drive roll units for efficient 1.2mm MIG wire feed, and have the option for x4 removable wheels on the bottom to allow for easy movement around a shop floor, or when pulling the feeder along a steel work piece. 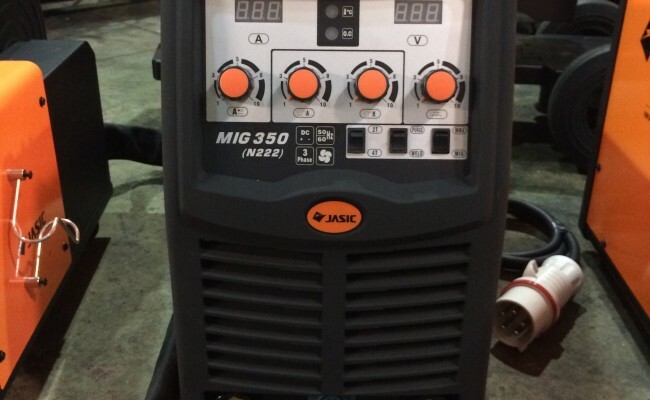 Another feature of the wire feeder we really like is the MIG gun holster on the side of the panel, allowing the torch to be stored safely and off the ground. 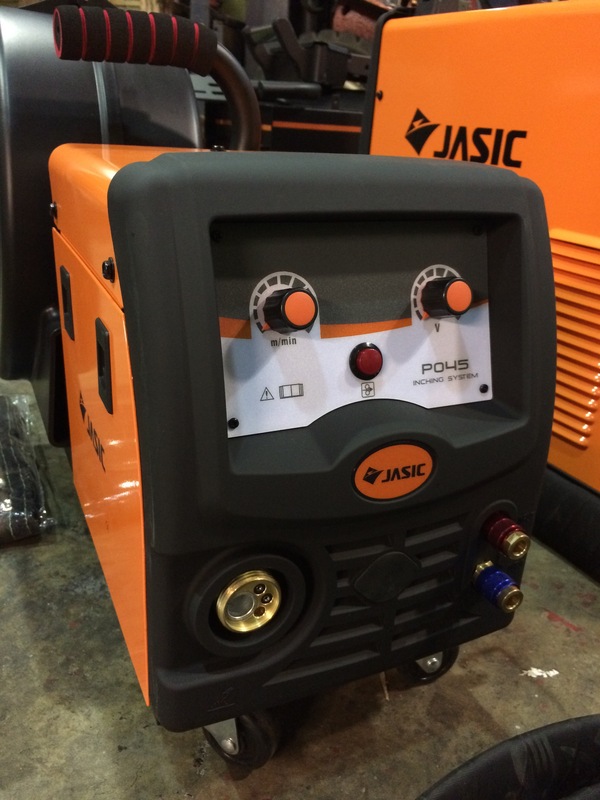 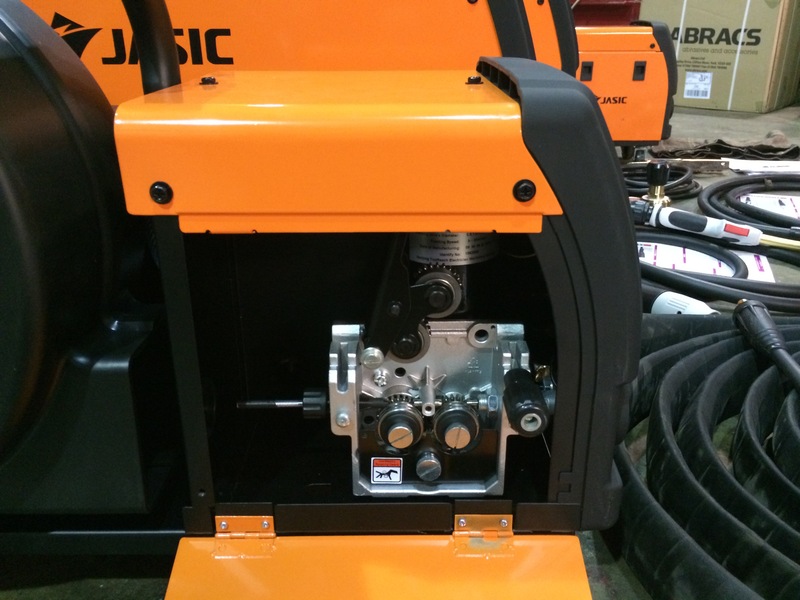 We also stock the Jasic MIG welder trolley which keeps all components together, as seen here fully set up on the 350 inverter's big brother, the heavy duty Jasic 450 model. 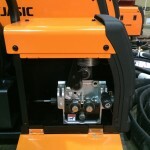 With a shelf for the power source, a steel swivel shaft on top for the wire feeder to sit on, a bottle carrier with straps at the back, a steel pull out draw for storing consumables or inserting the Jasic water cooler if you wanted to upgrade to the water cooled package, and hooks to hang MIG torches, earth leads, and interlink leads, the trolley really is a great practical addition with its sleek design. 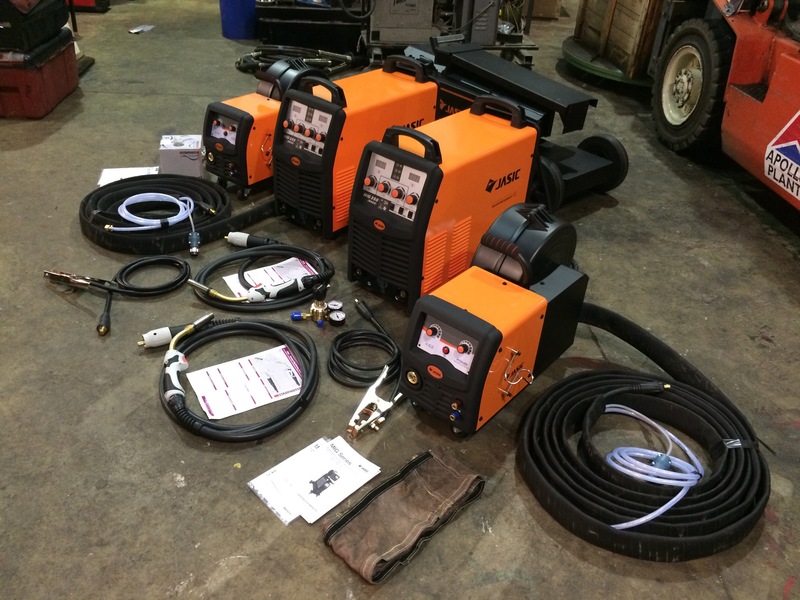 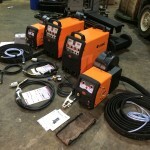 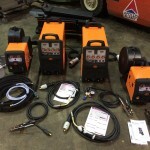 These particular hire fleet welders were requested by our customer to be unbolted and kept separated, with 10 meter interconnection leads supplied due to the nature of their site welding job, needing the wire feeder far away from the 350 power source. 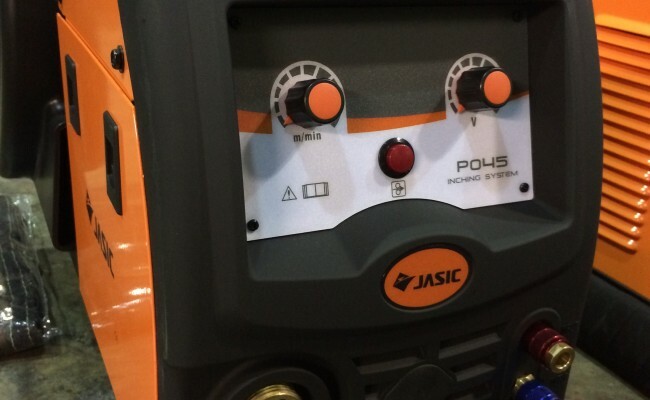 This was only really possible due to the fact that Jasic's inverter technology means the overall weight of the machinery is just 49kg, with lifting handles and a small compact design which takes up very little space, meaning no fork lift trucks required. 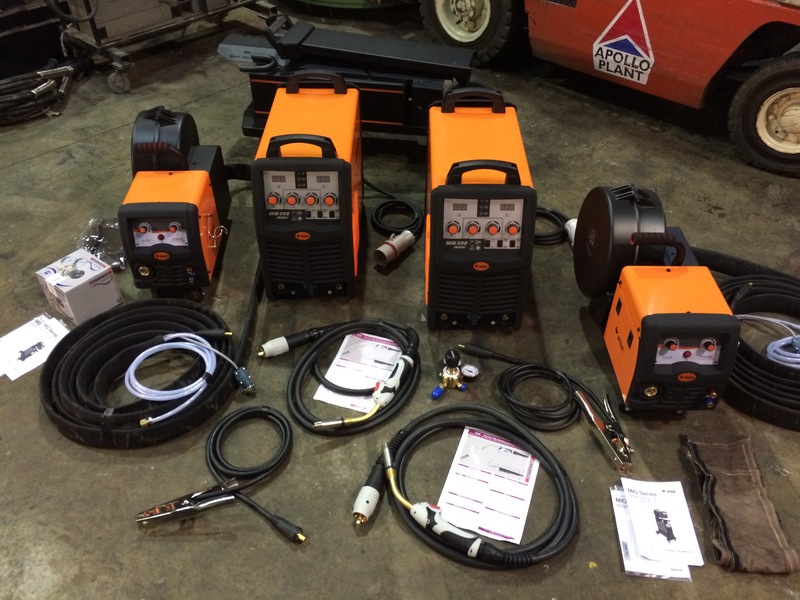 We here at Spectrum Welding Supplies Ltd can accommodate any specification you require, whether welding 2.4mm MIG wire or need a straight MIG torch baton for hard to reach welds, we keep all the plant in stock you need and are continuously adding to it.